Sunrise on the Gold Coast on Australia Day 2010. 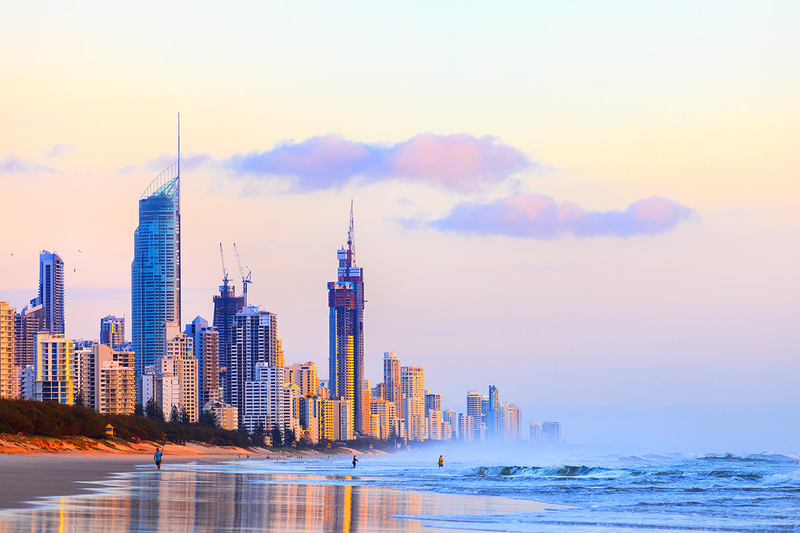 The Gold Coast is a coastal city in southeastern Queensland on the east coast of Australia. The city is 94km south of the state capital Brisbane. It is the second most populous city in the state, the sixth most populous city in the country, and the most populous non-capital city in Australia. Taken on Australia Day 2010 the Soul residential tower is still under construction. Soul is a 243m tall residential tower located on the corner of Cavill Avenue and The Esplanade in Surfers Paradise on the Gold Coast, Queensland, Australia.